Easy self-assembly - full instructions are provided. 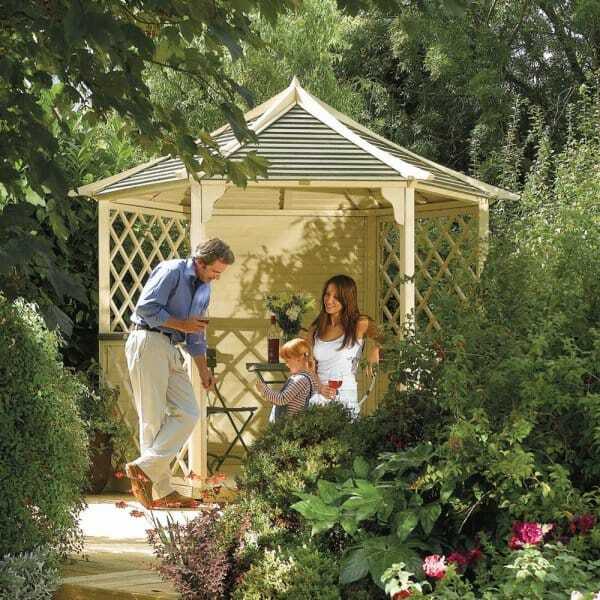 Rowlinson Gainsborough Gazebo: The Rowlinson Gainsborough Gazebo is ideal for outside dining and entertaining. This gazebo provided by Simply Log Cabins could be perfect for your own little retreat in a quiet part of the garden. The gazebo is made from pressure treated timber and is superb value for money and excellent quality.